An earthquake of magnitude 6.2 struck southeast of the town of Matías Romero in Oaxaca, Mexico, on Saturday, the U.S. Geological Survey (USGS) said. 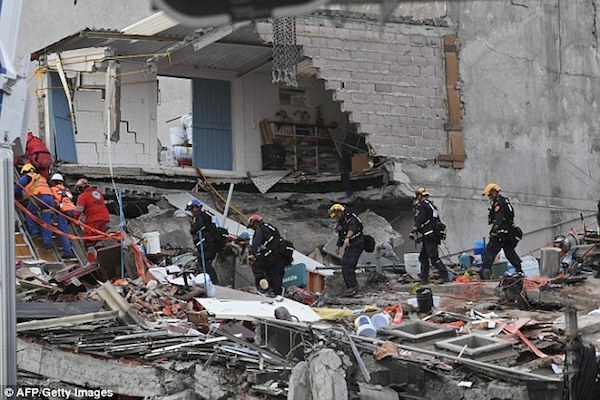 Slight quake tremors were felt, and seismic alarms sounded on Saturday in Mexico City, which earlier this week was hit by the country’s most deadly earthquake in decades. That 7.1 magnitude earthquake destroyed more than 50 buildings in the sprawling Mexican capital on Tuesday, leaving thousands homeless and close to 300 people dead nationwide.